Natural and cruelty free are just some of the buzz words making their way through the beauty industry, and Tarte have released something hippy chic for the summer. 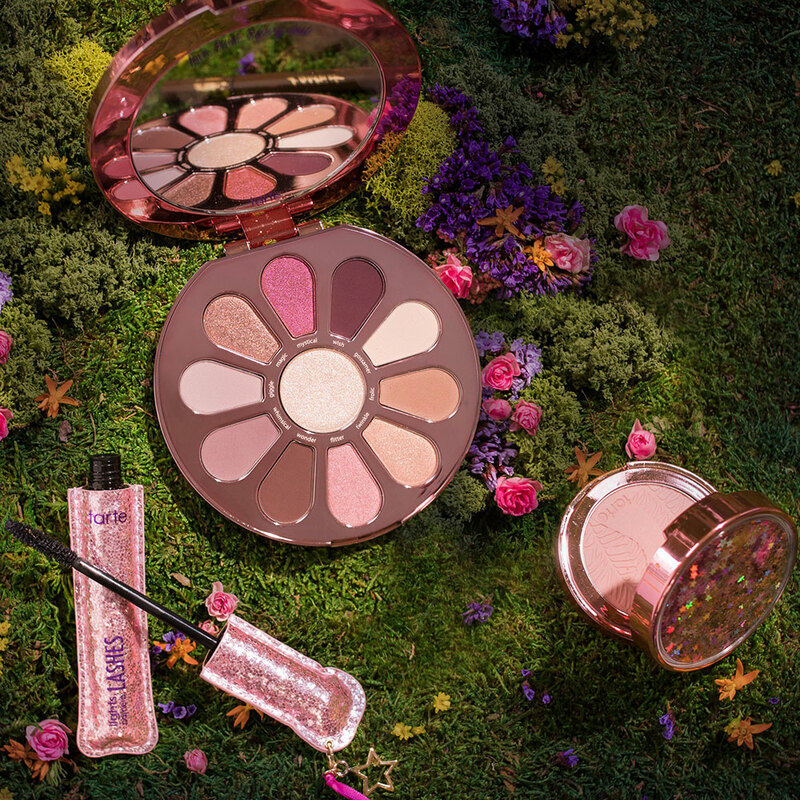 The New York based cosmetics brands invites you to get #FLOWERPOWERED with their limited edition collection of pretty palettes, best-selling vegan mascara and their high-preforming brushes. To bring out the eyes further, swish on their cult classic for over a decade – the vegan mascara. Released is limited-edition packaging, it is designed to lengthen, curl, volumize and condition the lashes. Who doesn’t want a rosy glow that lasts all day? The silky texture of Amazonian Clay 12-Hour Blush glides onto the skin without a chalky finish. The micronized Amazonian clay helps control oil and infuse moisture for balanced skin. 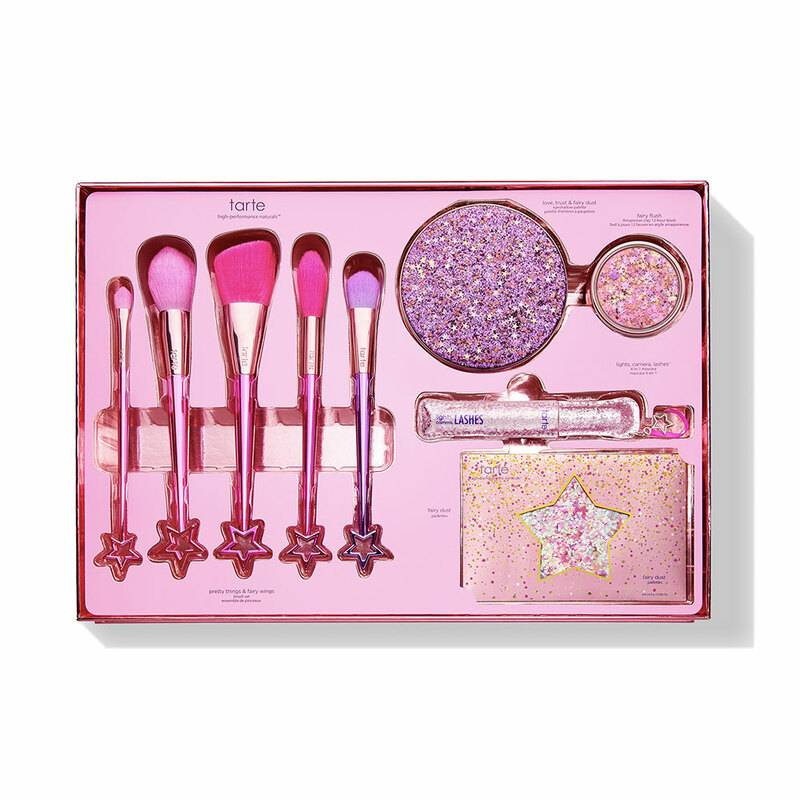 For flawless application, make sure to add Pretty Things & Fairy Wings Brush Set. 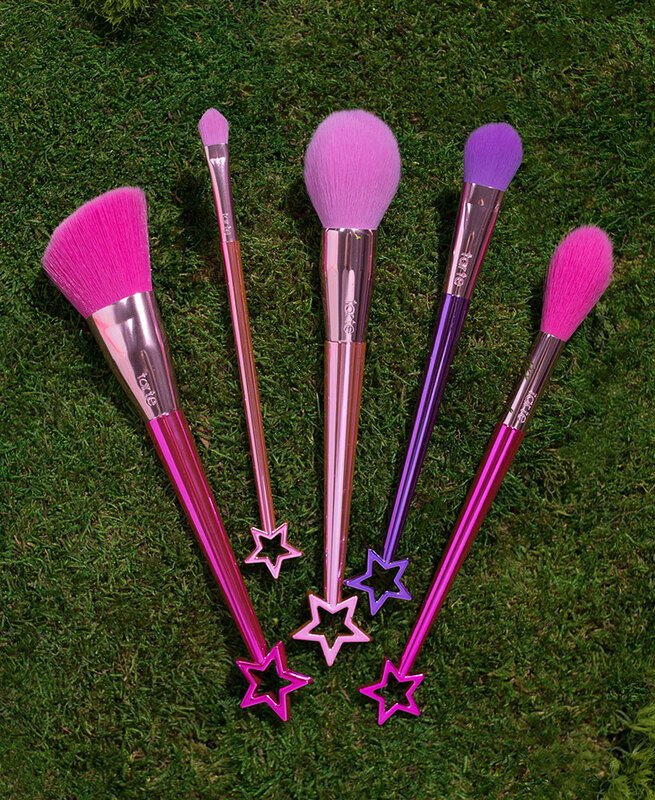 Wit the five brushes, you are guaranteed crease free eyeshadow, seamlessly highlighted cheekbones and even complexion.